Take 42% off the entire book. Just enter code sskurt into the discount code box at checkout at manning.com. 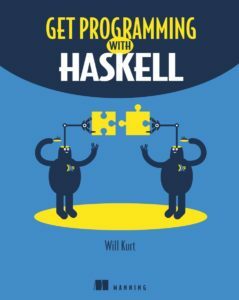 Get Programming with Haskell leads you through short lessons, examples, and exercises designed to make Haskell your own. It has crystal-clear illustrations and guided practice. You will write and test dozens of interesting programs and dive into custom Haskell modules. 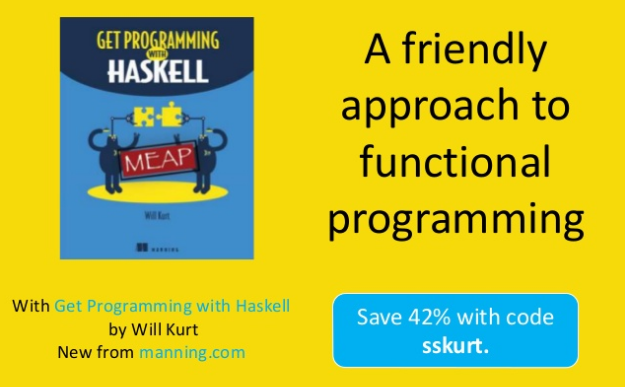 You will gain a new perspective on programming plus the practical ability to use Haskell in the everyday world. See more in the slide deck below.